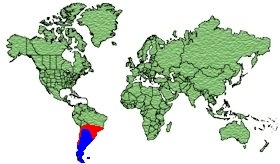 Southern Chile, central Argentina, Tierra del Fuego and Falkland Islands. 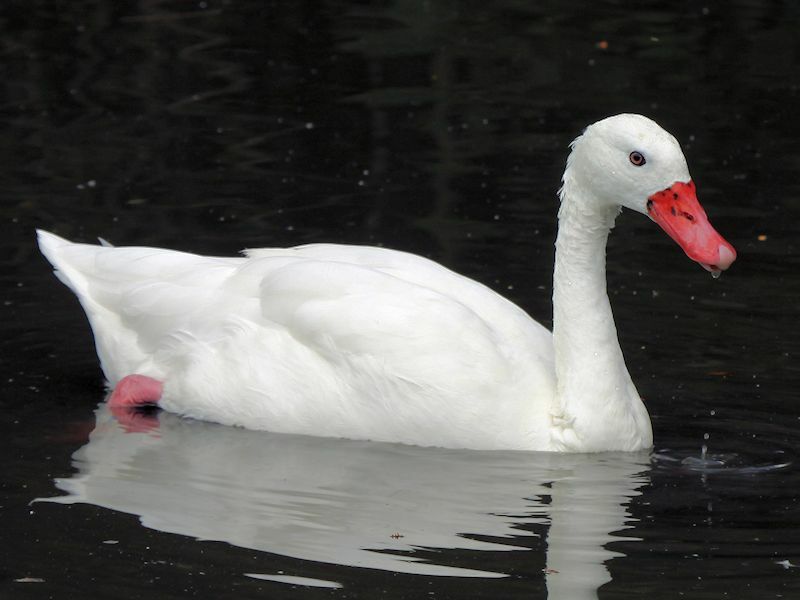 Migrates North to central Chile, Northern Argentina, Uruguay and the South East of Brazil. 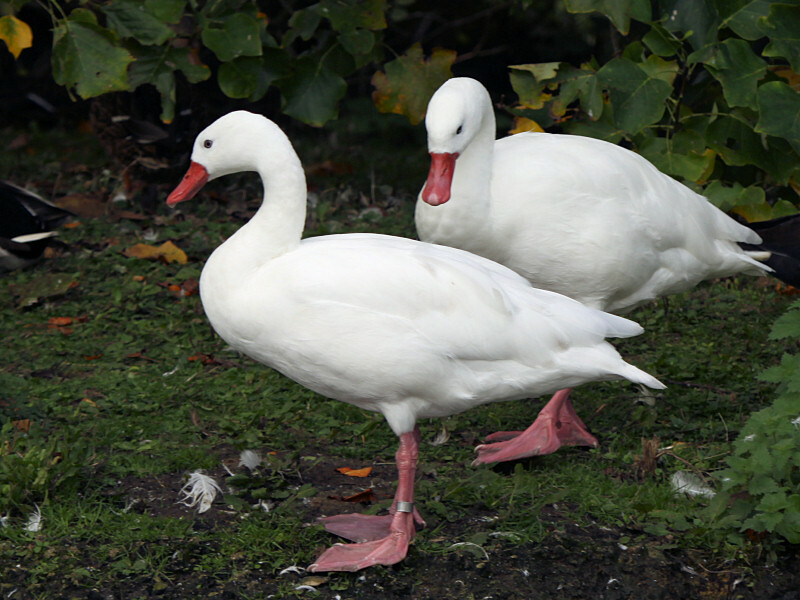 The male has mainly White plumage with Black tips on it outer primary feathers, Brown eyes, Red bill, pinkish Legs and feet. 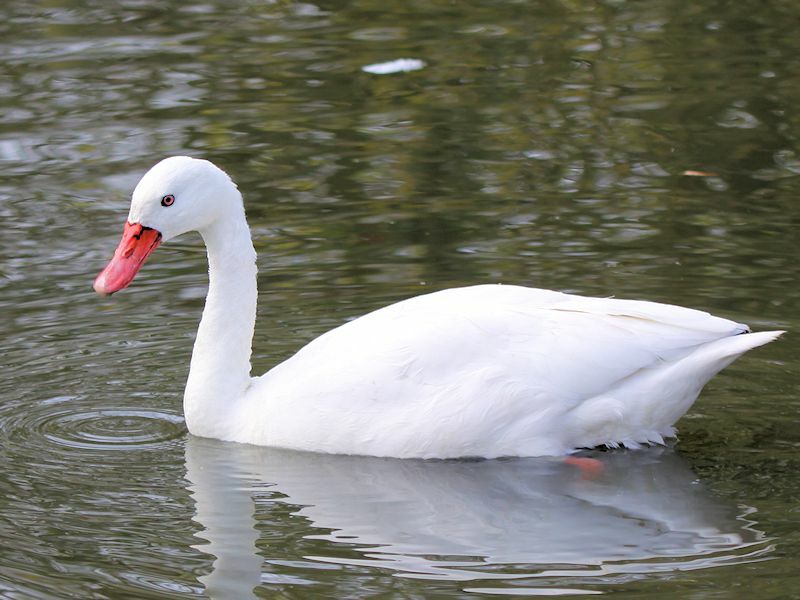 Its habitat is well-vegetated Swamps and Lagoons. 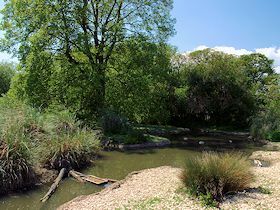 Grasses, Aquatic Vegetation, Aquatic Insects, Mussels and Fish. 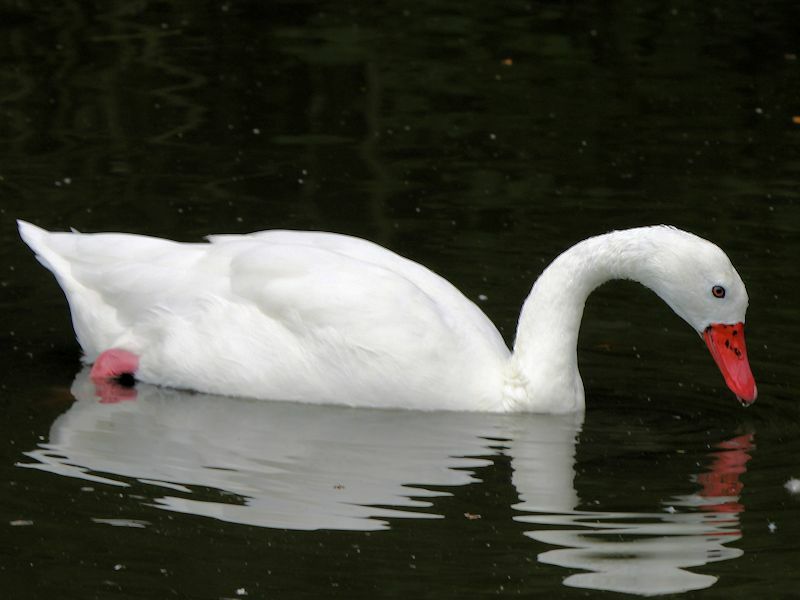 The nest is built from vegetation in the shape of a conical mound near water, in reeds or long grass. The mound has a slight depression which is lined with grasses and feathers from the female. 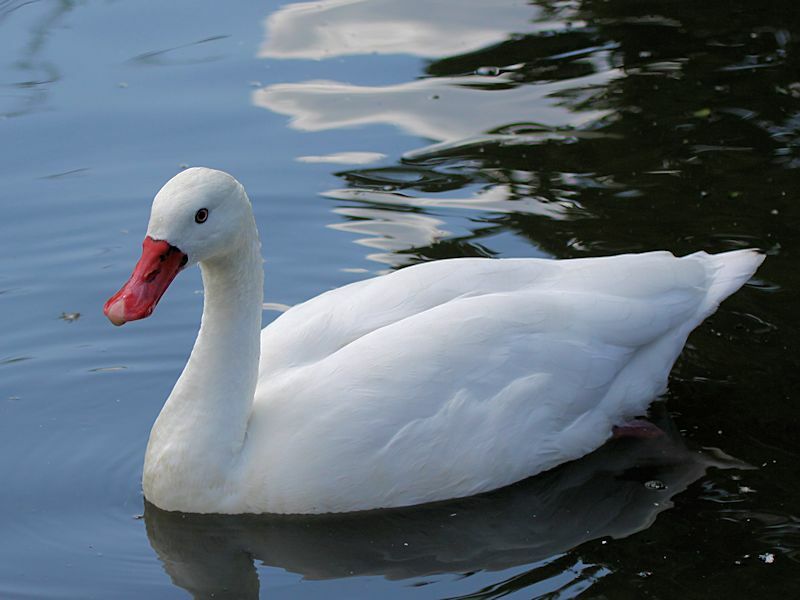 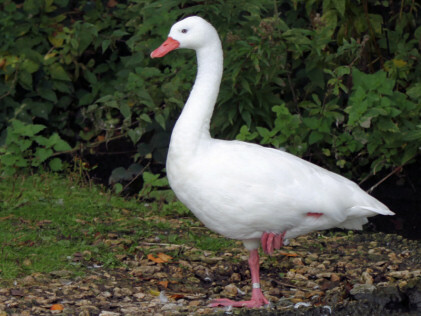 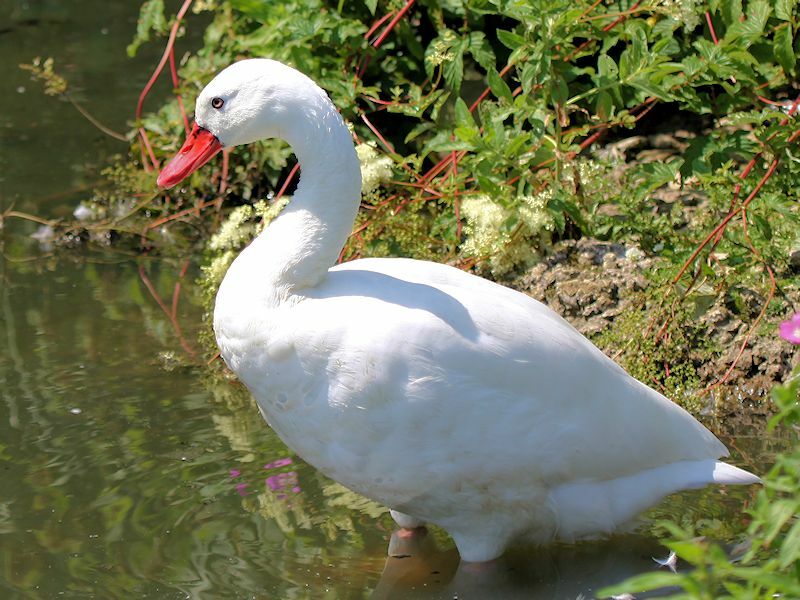 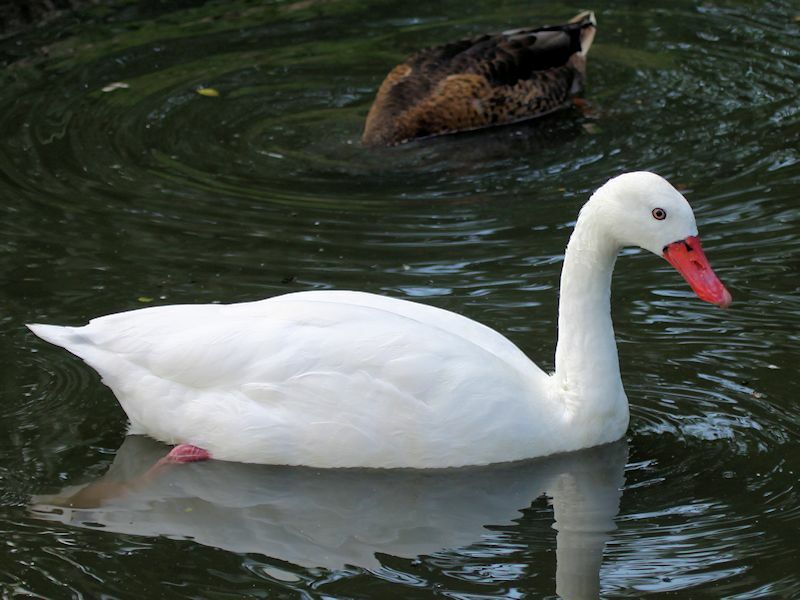 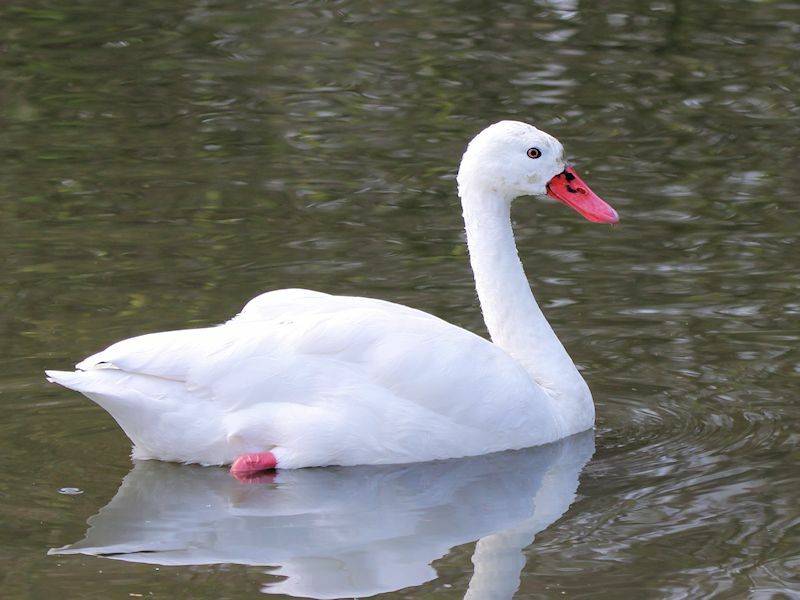 The Coscoroba Swan shows all attributes associated with the Anatidae family, the body is like a small swan, the head is like a goose and the bill is similar to a duck.